One common category of healthcare fraud schemes in the medical laboratory industry revolves around medically unnecessary testing. There are many different ways in which the medical laboratory industry fraudulently commits medically unnecessary testing, which are highlighted below. If you believe you have witnessed healthcare fraud involving medically unnecessary testing, contact the healthcare fraud attorneys at Willoughby Brod to learn more about what you should do next. What is Medically Unnecessary Testing? Medically unnecessary testing occurs when clinical laboratories order tests that are excessive, unnecessary, or inappropriate for a patient’s treatment. Not only can this be extremely costly, it can also be dangerous to a patient’s life. One way that clinical laboratories commit healthcare fraud is by ordering excessively large panels. For example, a clinical laboratory might order a 12-panel drug test when all that is required to detect the major drugs that might be present in a person’s body is a five-panel drug test. Alternatively, a clinical laboratory may order tests that are not required at all for a person. For example, if a person is being screened for the presence of marijuana in his body, a clinical laboratory might, in order to bill for more costs, submit the patient to tests for not only marijuana, but also cocaine, heroin, and methamphetamine. Urine drug testing is one of the most frequently performed tests, and clinical laboratories in particular have been found to issue inappropriate or excessive urine drug tests in order to increase provider reimbursement. Additionally, sober homes have been found to profit from excessive urine drug testing as well. Sober homes, or sober living facilities, provide low-cost housing to those recovering from drug and alcohol problems when run properly. However, when run improperly, sober homes can require excessive drug testing from its residents so that the home can submit the fees to their insurance company for reimbursement. While genetic testing is at times necessary to a patient’s medical diagnosis, it is often used to potentially confirm or rule out a potential medical diagnosis but is not germane to the medical diagnosis itself. In order to bill more fees to their insurance company, doctors and clinical laboratories may order unnecessary genetic testing or excessive genetic testing for a patient, where the same genetic test is administered to one patient multiple times. Since genetic testing results do not change for the most part, there is usually no need to take the same genetic test twice. If you believe you have witnessed healthcare fraud involving any of the medically unnecessary testing schemes outlined above, contact the qui tam attorneys at Willoughby Brod to report your claim or learn about your options for next steps. 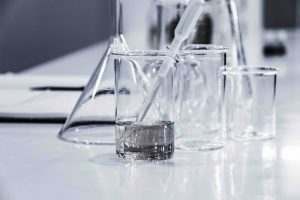 Our attorneys have successfully helped countless whistleblowers come forth with their claims relating to medically unnecessary testing schemes. Contact us online or at (800) 427-7020 today for a free consultation.